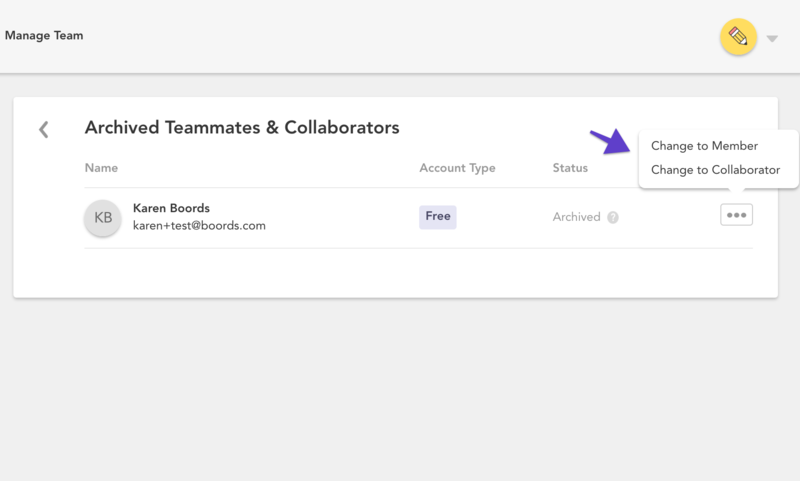 If you're subscribed to a Team plan, you can add and remove Teammate and Collaborators from within the Manage Team page . 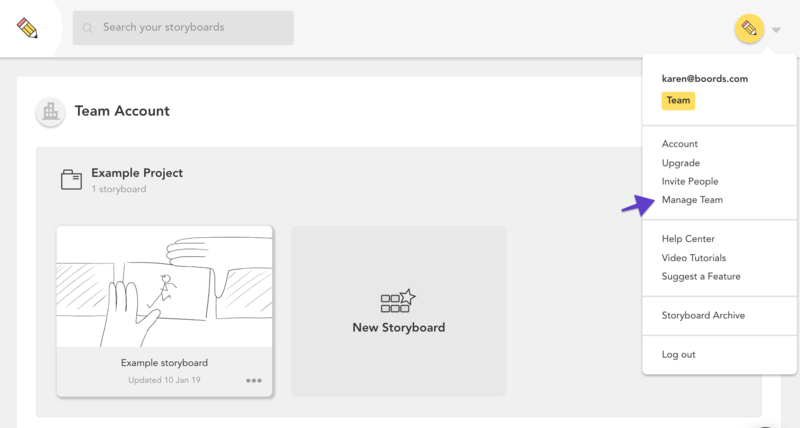 Access this section by selecting Manage Team from the dropdown menu on your Project Dashboard. Find the user you'd like to remove and click the three dots next to their name. To remove them from the Team, select Archive this user. 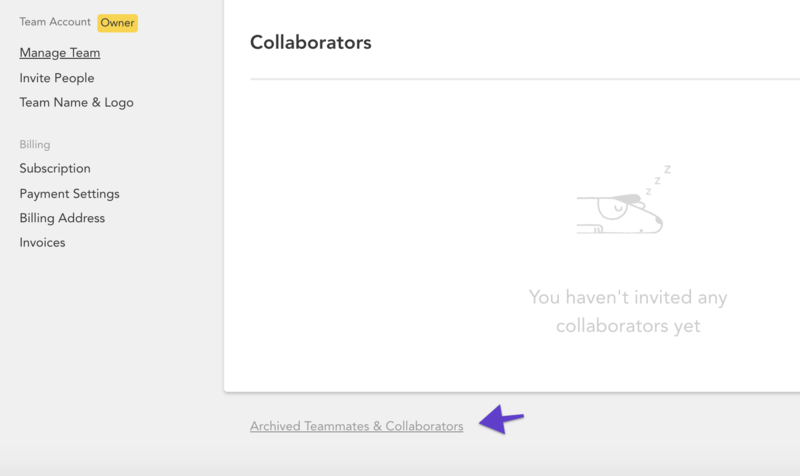 You can add them again at any time by clicking the Archived Teammates & Collaborators link at the bottom of the page. 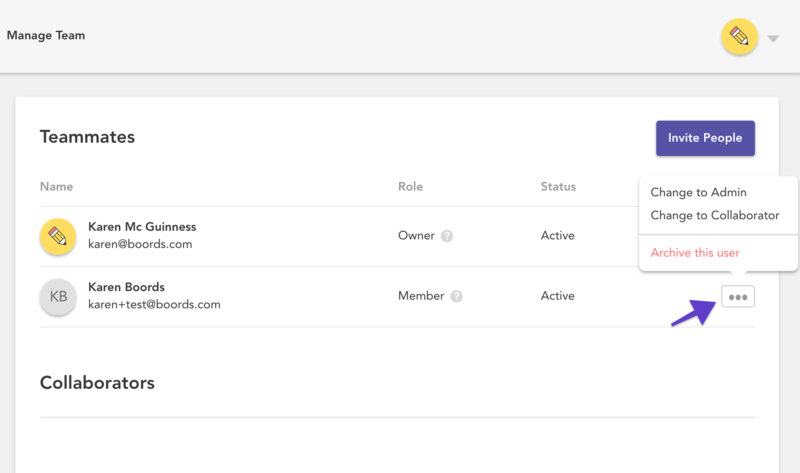 Then, select Change to Member/Collaborator. This will restore their place on the Team.